Enjoy the sheer oasis of the pristine Panama City beaches at one of the best resorts along the coastline of the Florida panhandle. SellMyTimeshareNow.com has several Holiday Inn Club Resort Panama City Beach timeshare resales and rentals in our inventory right now at up to 70% off the retail price! Situated right on the serene shores of Western Florida, you can go from your bed to the beach in just minutes at Holiday Inn Club Vacations Panama City Beach Resort. Spend your mornings lounging out on the white sands, then head on over to Pier Park in the afternoon. Take some much deserved downtime exploring the great shopping sites, incredible dining options, and entertainment for all ages! Take the kids out to great family-friendly attractions such as the Sea Dragon Pirate Cruise and Shipwreck Island Waterpark. Don’t miss out on the once-in-a-lifetime experiences like the dolphin or eco tours or you can embark on a great deep sea fishing expedition with the beautiful vessels. Then at night, retire to a one- or two-bedroom villa with an unrivaled view of the beach for some well-deserved rest. Each villa boasts quaint rooms, with soft dining to evoke total relaxation. Kick back in the well-furnished, spacious living room, enjoy your breakfast out on your own private patio, or soak your muscles after a long day of fun in the whirlpool spa bathtub. The villas also feature a full kitchen with refrigerators, microwaves, and coffee makers for those looking to budget their travel and avoid going out to eat all the time. Your dream vacation starts here at Holiday Inn Club Resort Panama City Beach! Get started planning it out today. Fill out the form on the right for more information or call our timeshare resale specialists at 1-877-815-4227. Take advantage of the great benefits offered to Holiday Inn Club Panama City Beach timeshare resale owners. When you purchase a property that is for-sale-by-owner, you’re avoiding paying for your timeshare through the developer. This means you avoid all hidden fees, which could help you save thousands of dollars. Timeshare resale owners who have purchased their properties directly from the current owner can save up to 70% off the retail price. Holiday Inn Club Vacations Panama City Beach timeshare weeks come deeded with fixed or floating booking options. Depending on availability, owners of floating weeks can book their vacations in a variety of Holiday Inn seasons, including Red, White, and Blue. Vacation weeks can be used annually or biennially. 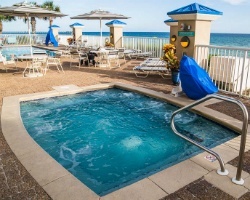 Panama City Beach Resort is affiliated with Holiday Inn Club Vacations (HICV), one of the most exciting, all-encompassing brands in the industry. HICV is a timeshare program owned by InterContinental Hotels Group, the largest hotel group in the world known for these top-shelf timeshares, quality amenity offerings, and family-friendly accommodations. At Holiday Inn Club Panama City Beach, you’ll enjoy all of the luxurious benefits of HICV ownership at cost-effective prices to provide a truly memorable vacation for you and your family. Purchasing a Holiday Inn Club Resort Panama Beach timeshare resale allows you the wonderful perk of becoming a member of RCI and/or Interval International. 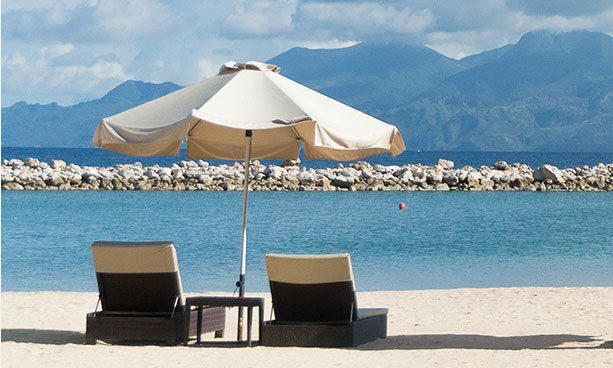 RCI and II are the two largest external timeshare exchange companies in the industry, offering resorts in thousands in locations all over the globe. 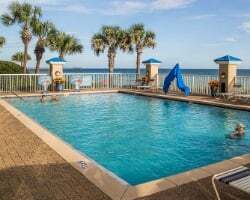 Panama City Beach Resort owners have the ability to choose between the two of them for a chance to book a special vacation in a brand new resort and location. Because of the resort's quality service and high-demand in the exchange program, Holiday Inn Club Vacations Panama City Beach has been deemed an RCI Gold Crown and Interval International Premier rated resort, giving its owners high trade value. Holiday Inn Club Panama City Beach is more than just a dream vacation home; it’s also one of the few conveniently located resorts in all of Panama Beach. The resort sits snug right on a gorgeous stretch of ocean and is also within a short walking distance to Pier Park. Cool off in the resort’s outdoor pool or chill out in the outdoor whirlpool hot tub. Guests can fire up a barbecue grill and have a great picnic with the family on the sandy shores. 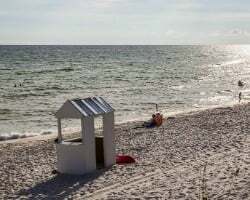 For outdoorsy folks, there are so many great activities nearby that will not only keep you active and healthy, but also provide an unforgettable experience to truly become acquainted with the Panama City area. Enjoy fine activities like golfing, scuba diving, hiking, biking, snorkeling, parasailing, boat tours, and so much more! All the excitement of a great oceanfront vacation is waiting for you here at Panama City Beach Resort. 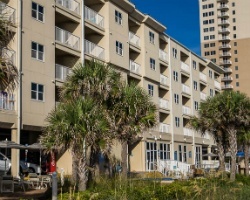 Already Own at Panama City Beach Resort?